We are excited to welcome everyone back for another great year in the East Hampton Public Schools! We urge you to review our ambitious goals for 2017-18 on the website. We think that you'll agree that it's an absolutely AMAZING time to be a learner. (Quote from Will Richardson). 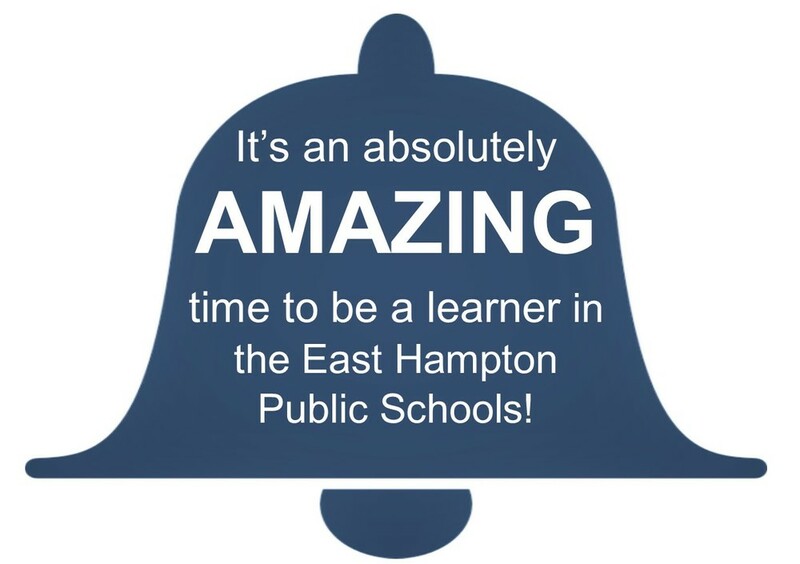 In fact, we know that it's an absolutely AMAZING time to be a learner in the EAST HAMPTON PUBLIC SCHOOLS!